Nathan Ybanez, 16, is in a blackout rage, beating a woman with a fireplace poker. The victim is his own mother Julie. In the middle of the mayhem, Nathan's best friend, Erik Jensen, walks through the front door. "He went over that night to look after for his friend because he was very afraid that something horrific was going on in the house because of this history of abuse," said defense attorney Alison Ruttenberg. Erik is in shock, and races to Nathan's bedroom to escape the horror. When Erik walks back out, Nathan puts plastic over his mother's head and chokes the life out of her bloody body. Erik never raised a hand to Nathan's mother, but he now sits in prison, sentenced to life without parole. "He has faced the same charges and the same penalties as if he had actually killed the victim himself," said Alison Ruttenberg, Erik Jensen's defense attorney. "We didn't understand it. Still don't to this day," said Curt Jensen, Erik's father. Erik Jensen was born into wealth and the unconditional love of his mom and dad. "He was very bright and precocious at an early age," said Pat Jensen, Erik's mother. To his family and friends, Erik is a sweet, sensitive young man from Highlands Ranch, Colorado, with a good future ahead of him. "We encouraged in him from the time he was young was that he be a kind person and compassionate to other people," said Pat. "Maybe a little more sensitive to other people's problems than we had intended." Nathan was one of Erik's friends with big problems. Nathan claimed he was beaten by his father and sexually abused by his mother. Erik told his parents Nathan feared for his life the night he murdered his mother. "According to Erik, Nate told him that they said they were taking him to military school, but really they were going to kill him on the way there," said Pat. "He really believed that. Bury him in a cornfield somewhere. That's what he truly believed." Nathan planed to run away that night, with Erik's help. But when he got home, Nathan found his mother waiting. When she tries to stop him, rage erupts and Nathan kills her. Then Erik makes the biggest mistake of his life. He helps Nathan clean up after the murder. "I've heard parents say 'My kid would never do that.' Yeah, they would," said Pat. "If their friends are there, if the peer pressure is there, your kids do things you would not believe they would do." "He definitely aided and abetted in cleaning up the crime scene and doing some other things," said Ruttenberg. "He did not participate in actually killing this woman." At his trial Nathan gets life without parole for murder in the first degree. Erik and his family expect serious consequences for his involvement in the crime. But they have no idea what is coming: Guilty of first-degree murder. "The prosecution agreed that Erik had not been the one that killed Julie," said Curt Jensen. "Which is why we were all shocked at the end." Erik, serving time at the Limon Correctional Facility in Colorado, spoke on the phone to Crime Watch Daily. Does Erik understand why he helped clean up? "At the time I really just didn't want him to go to jail," said Erik from prison. "If I have to help then I will." But Erik says he doesn't see things that way today. And he has advice for others who might find themselves in the same situation. "I remember feeling like nobody was going to help us, nobody was going to help him," said Erik. "My immediate advice and heartfelt advice would just be you're not helpless, you're not alone. You have a chance and you have a choice. Even though it doesn't feel like that because when you're this age everything feels like there's no way out." But there just might be a way out for Erik now. The United States Supreme Court recently ruled against life-without-parole sentencing for minors. Attorney Alison Ruttenberg says that some states, like Colorado, have been slow to implement the ruling. But she remains hopeful. "I still put his chances at really good," said Ruttenberg. "He's the type of person that can be rehabilitated, rather than the very unusual type of juvenile offender that we do need to keep locked up for the rest of their life." "I definitely think that I deserved to come to prison," said Erik. "There's no part of me that thinks that I should have got a slap on the wrist. I don't think that having a life sentence is the appropriate way to do that." Erik Jensen has kept himself busy, staying out of trouble and earning a college degree while behind bars. "I have to meet the people who are trying to help me out of here halfway at least," said Erik. "[My parents] are out there sacrificing their money, their time, their effort and their lives to get me out. If I'm not doing the same in order to get myself out, then I'm really betraying them," said Erik. 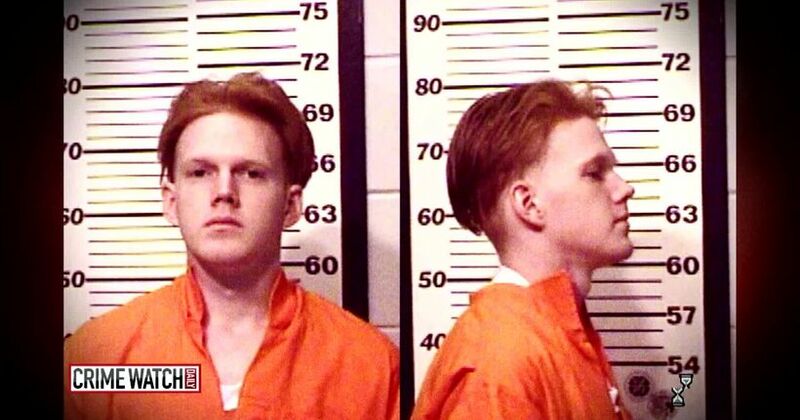 Currently in Colorado about 50 inmates, including Erik Jensen, are serving life without parole for crimes they committed as teenagers. Colorado lawmakers approved a measure on May 10 allowing convicted murders who committed crimes when they were juveniles the ability to receive a parole hearing. Both bills the Jensen family supported passed the Colorado Legislature last week with overwhelming majorities. The bills now await the Governor's signature, which is expected.